Fermy Drobiu Mizgier Tomasz Mizgier | Firma „Fermy Drobiu MIZGIER Tomasz Mizgier” jest podmiotem o ugruntowanej i stabilnej pozycji rynkowej w branży produkcji i pakowania świeżych jaj konsumpcyjnych, istniejącym na rynku od początku lat 80-tych. The “Fermy Drobiu Mizgier Tomasz Mizgier” company is an entity with an established and stable position in the industry of production and packing fresh table eggs, which has been active on the market since the beginning of the 1980s. We produce eggs according to the EU regulations. The eggs production and packing process is under permanent veterinary control and it is performed on the basis of long experience and knowledge of the owner. “Fermy Drobiu Mizgier Tomasz Mizgier” company is an international supplier of eggs for customers from the European Union, as well as to the market of Angola, Oman, Dubai, Qatar, the Maldives, Congo, DR Congo, Djibouti, Gambia, Sierra Leone, Liberia and Mauritania. We offer our products also to customers from Poland, which is possible thanks to their availability in large chain stores, e.g. : Auchan Polska, Tesco Polska, Carrefour Polska. 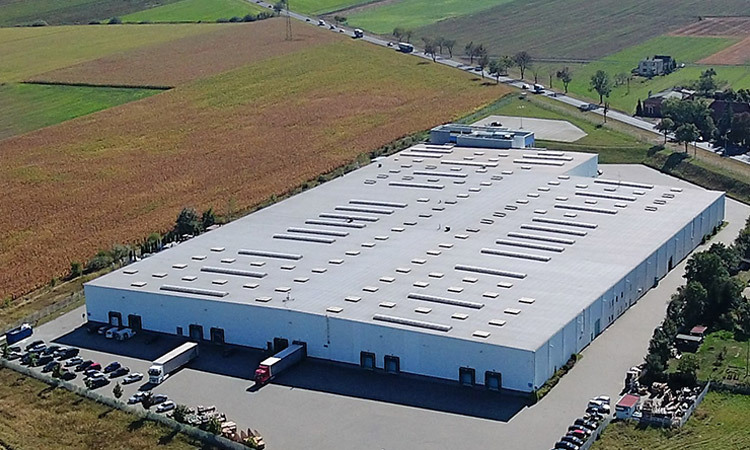 Continuous development of the company caused further investments in modern warehouses and a packing station with a surface area of 22 thousand m2. Except high quality of our products, the key to success is a modern production system. New hen houses are equipped with a stable safety system of tunnel ventilation that provides one of the top positions on the market and allows delivering high quality products that are popular on the local and international markets. When applying the principles of a standard of healthy food production, we place on the market a product of the highest quality.